Extreme tasks call for extreme machines. 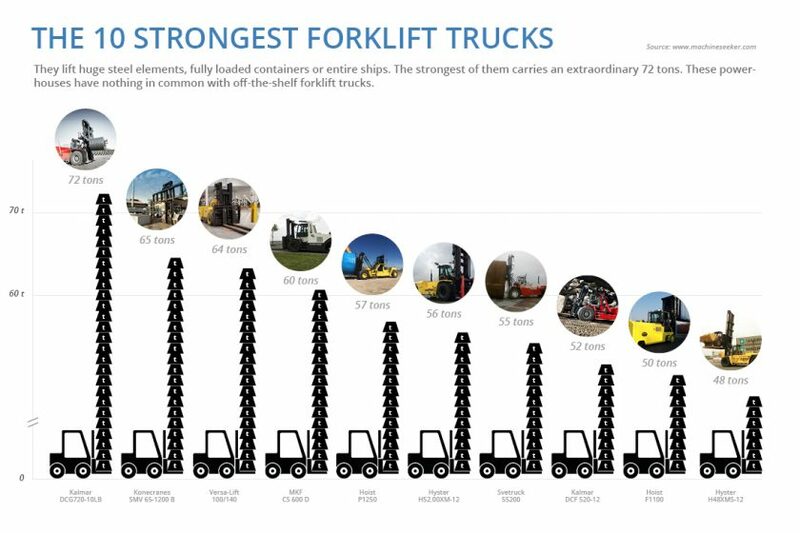 The 10 strongest forklift trucks work to the max in mining or harbours. Under the harshest operating conditions, these heavy-duty trucks effortlessly lift up to 72 tons to airy heights. The strongest of them is wider (4.67 meters) than two SUVs, has the wheelbase (5.75 meters) of a stretch limousine and the weight (90 tons) of half a house. The Finnish forklift Kalmar DCG720-10LB takes first place in the ranking. 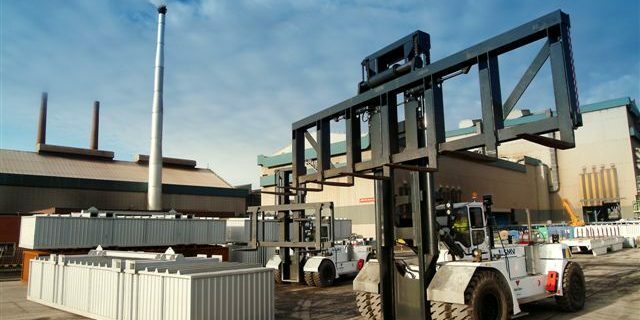 “Despite the massive weight and enormous load-bearing capacity of heavy-duty forklifts, they consume significantly less fuel than a Formula 1 car on the racetrack”, says Thorsten Muschler, Founder and Managing Director of Machineseeker.com. 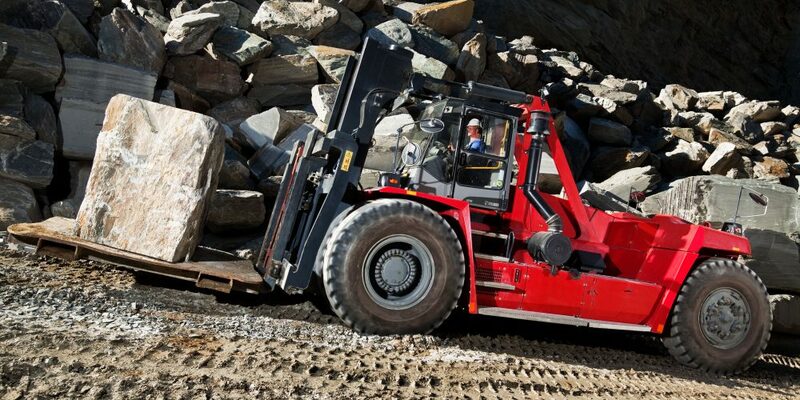 First place: Ranked first is the Kalmar DCG720-10LB with an incredible 72 tons of lifting capacity. It can conquer gradients of up to 34 percent. 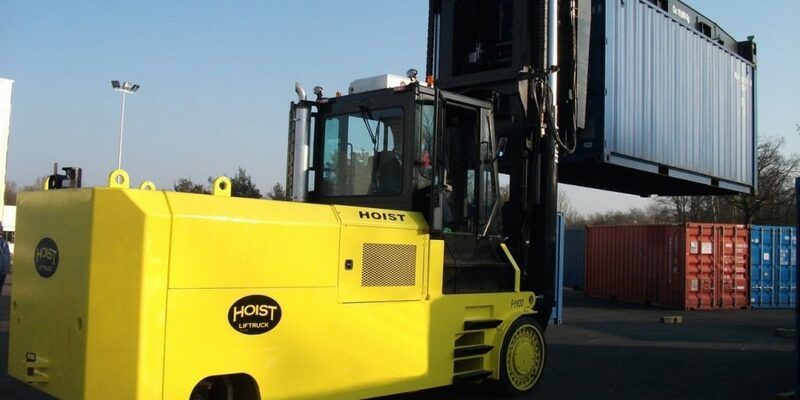 The Finnish manufacturer offers five more forklifts of this model series. 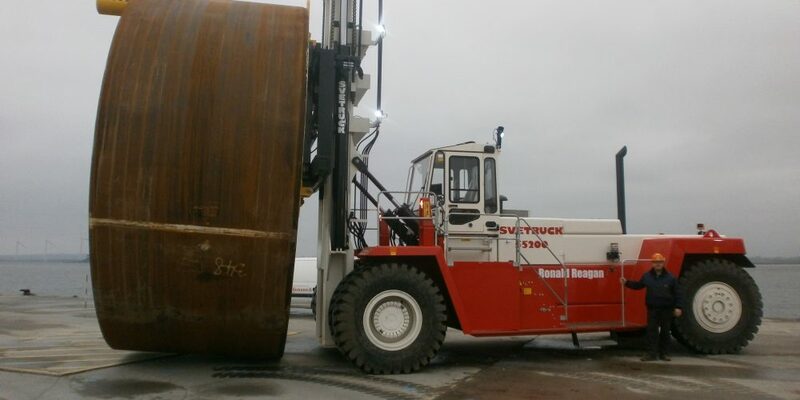 Second place: The second placed Konecranes SMV 65-1200 B weighs almost 90 tons. This gives the heavyweight a lifting capacity of 65 tons. 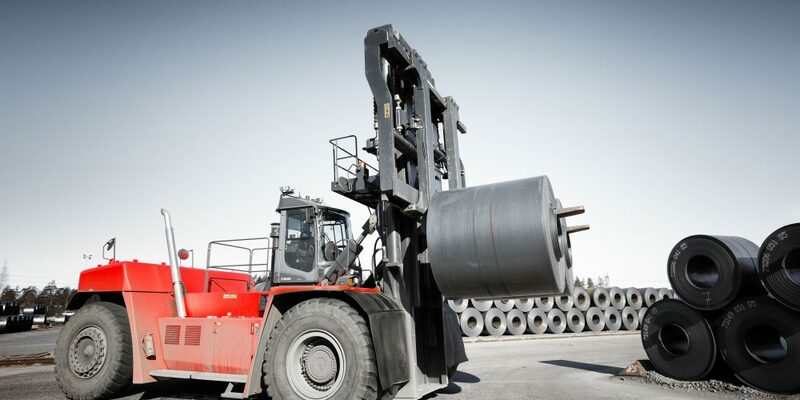 The Scandinavians offer seven additional types of heavy-duty forklift trucks. Third place: The third-placed model Versa-Lift 100/140 stands out due to its compact design with the extendable rear axle. The "small" power pack lifts 64 tons. 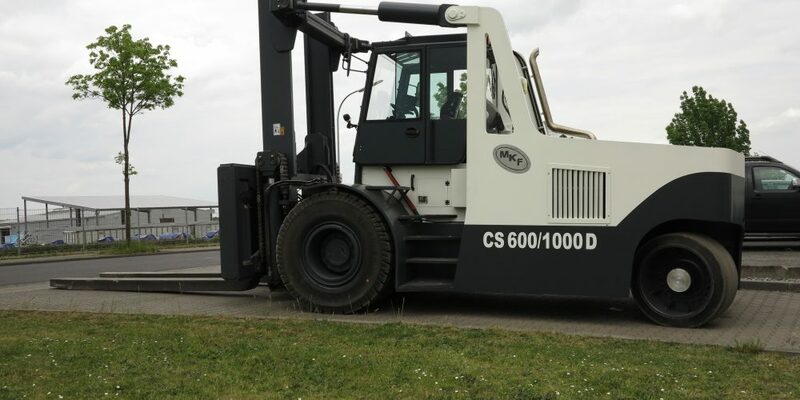 Coming in 4th: The compact forklift CS 600 D from MKF from Polch near Koblenz only slightly missed the podium with 60 tons of lifting power. Fifth place: From the driver’s cab of the Hoist P1250, you can get a great view of the up to 57 tons of cargo due to its elevated position. 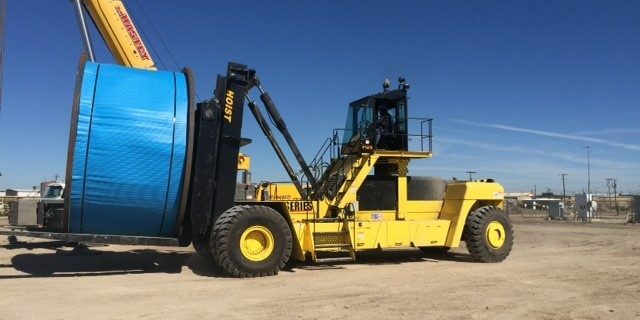 Ranked 6th: The Hyster H52.00XM-12 leads the second part of this ranking. It can lift up to 56 tons. Seventh place: The Svetruck 55200 has a maximum lifting capacity of 55 tons. This allows the seventh-place winner to master his tasks in the steel industry with ease. 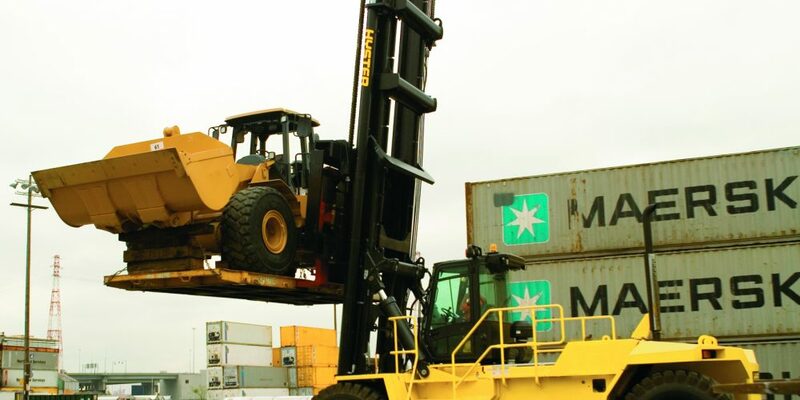 Eight place: The Finnish powerhouse Kalmar DCF 520-12 can lift up to 52 tons. It stands out because of its huge tyres, four of which are mounted on the front axle. 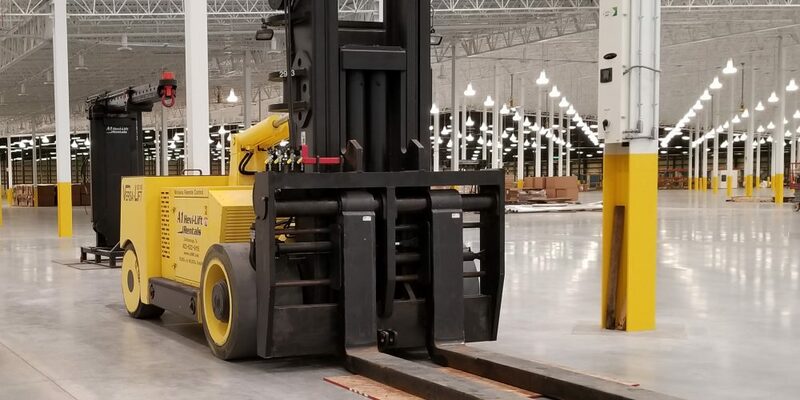 Coming in Ninth: The US manufacturer Hoist not only builds huge forklift trucks such as the fifth-placed P1250, but also offers a more compact heavy-duty truck. With a wheelbase of only 3.2 metres, the F1100 can lift up to 50 tonnes into the air. 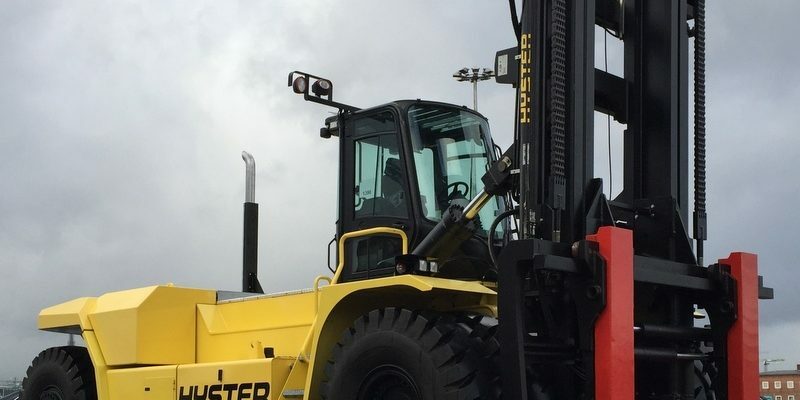 Ranked 10th: The Hyster H48XMS-12 takes tenth place. With 48 tons of lifting power, the US-American transports entire excavators on its forks. “The investment for a new unit is in the high six figures. Purchasing a used forklift truck is a more economical alternative for many buyers. The increasing demand for used forklifts on our marketplace confirms this”, the second-hand machinery expert continues.